I'm Eleanor Rae Nickerson-Smith, a twenty eight year old lifestyle blogger from Norfolk, on the East Coast of England. I grew up making things, and playing outside. My family spent our summers and bank holiday weekends camping on a farm, setting fires and building dens, and we had a messy cupboard in the kitchen which was the source of many an art attack. The happiness I found in making never went away, and in 2010 I graduated from Leeds College of Art with a degree in Fine Art. Nowadays, I'm more likely to be sewing than sculpting, and I've found a new love in writing, and sharing the best bits of my life online. The Salted Tail is an honest, creative, lifestyle blog. A place I use to collect all the things in life I love, and to showcase the moments that make my heart full to bursting. I write recipes, tutorials and round up the best culture and lifestyle finds to help you feather your nest and craft a delicious life. 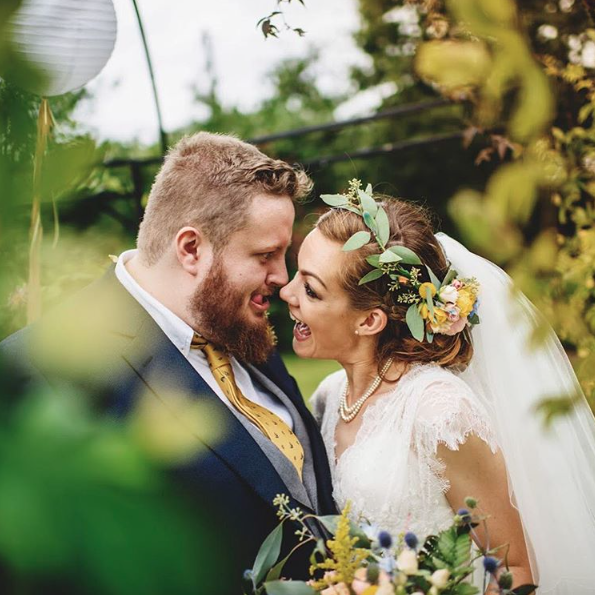 I live with my bearded Husband David, who I've always just called D, and we got married in 2015 you can read about our wedding here. We also share our house with our daft cat Pastry, who has no idea he's a cat and thinks it's perfectly acceptable to eat from our plates, and our Quaker parrot Buddy who loves to dance! If you'd like to get in touch, and I would love it if you did, you can email me at: thesaltedtail(at)gmail.com, or find me on social media by clicking the links on the right. I'd love for you to join in with my hashtag #craftingadeliciouslife over on instagram too - use it to share the ways you're using your hands to make your life delicious, be it making, cooking, gardening or DIY. I hope you enjoy The Salted Tail, please do make yourself very much at home!